Women in Federal Government: Is Gender Still an Issue? Since 1933, the United States has had over 30 women serve in cabinet level positions in the federal government. Women did not have the right to serve in such high-ranking positions until after the 19th Amendment was ratified in the early 1920s. According to Rutgers University, Center for American Women and Politics, there was a “72 year struggle in which the Constitution was finally approved to give women the right to vote.” After such a monumental milestone, women became prominent in government as well as in private corporations and military capacities. 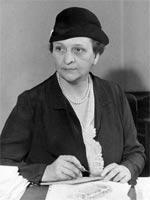 It was not until 1933 that the first woman was sworn into office for an executive branch position. 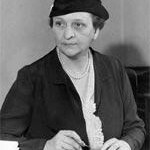 President Franklin Roosevelt selected Frances Perkins as the first female to serve in a cabinet level position as Secretary of Labor. Former Secretary Perkins’ intelligence and knowledge of labor matters did not go unnoticed. Before appointment of Secretary, Perkins was selected as the Industrial Commissioner for New York due to her knowledge of employment and compensation issues. As Secretary of Labor, Perkins was vocal in minimum wage laws and labors concerns. As stated on the Franklin D. Roosevelt Presidential Library and Museum website, “When the stock market crashed in 1929, Perkins persistently encouraged FDR to take action.” She served as head of a committee specifically dedicated to unemployment and researched viable ideas to mitigate labor difficulties and non-compensation. Secretary Perkins also served in other highly visible positions such as general secretary of the Philadelphia Research and Protective Association, an activist for the National Consumers League, secretary for the Committee on Safety for New York and committee chair for Committee on Economic Security. After the death of President Roosevelt and a 12-year tenure in the Cabinet, Secretary Perkins resigned from her executive position. In the initial search for a cabinet level official during the Roosevelt era, the thought of a woman was not considered or discussed. If a female were chosen for the role, it would be highly criticized by male figures. Eighty years later, there is still an unequal balance of females in leadership positions. Women also dropped 2 percent in the overall federal workforce from 48 to 46 percent over the past 20 years. The Director of the Office of Personnel Management (OPM), Katherine Archuleta stated, the office has “made it a top priority to mentor women who hold GS-14 and GS-15 positions to advance into SES jobs.” But has the mentoring worked? Is there now a difference in hiring women to the next level of federal service? This issue has caught the attention of President Obama and resulted in a subsequent OPM report that identifies the gap in diversity as well as pay in the federal government system. With powerful figures such as Secretary Frances Perkins, The Honorable Sandra Day O’Connor, Secretary Hilary Clinton and Secretary Sylvia Matthews Burwell, why has the need for more women at the executive level not increased? With women still ranking lower in federal positions, research has shown that males dominated the federal field due to the increase in information technology hires, veterans’ preference and other non-traditional female fields. Eric Yoder of The Washington Post claimed, “80 percent of the new hires are information technology jobs, 83 percent for engineering and 92 percent for police office occupations.” Additionally, Yoder cited from the Merit Systems Protection Board, “research shows that as use of veterans hiring authorities increased, the percentage of female new hires decreased.” The military is another male dominated field where roughly 15 percent make up the women in the U.S. Armed Forces out of nearly 1.5 million troops. With the information presented, it is difficult to determine if the issue is gender bias or if more males are applying for such positions. Is this an issue of women not applying for more non-traditional roles? Or do we still live in a male dominated society? What we do know is even though the federal government has progressed in having a diverse workplace, it is still not enough. There needs to be more effort to ensure there is a balanced place of employment for everyone. In addition, the federal government should not sacrifice qualifications to ensure diversity. Instead, ensure diversity is accomplished naturally by hiring who is right for the job no matter what gender. Author: Monique M. Maldonado is a U.S. Air Force active service member and adjunct professor. She teaches for the School of Graduate and Degree Completion Programs in the Master of Criminal Justice Department at Tiffin University. She is a Ph.D. candidate at Walden University, completing her degree in Public Policy and Administration with a specialization in Terrorism, Medication and Peace. Maldonado can be reached at [email protected]. One Response to Women in Federal Government: Is Gender Still an Issue? Great article. True regarding mentoring in that there just isn’t enough of it and truly it begins with “coaching” at the primary grade level. We have to discern the gifts and talents of our young girls so we can coach them to a place as young women so they can see & think outside of the box and socially enforced paradigms.